We are proud to announce our new weekly MLB Series that will be hosted at FanPicks! This is a “series” contest that will run from Thursday (sometimes Friday) to Sunday. You will pick your players in the 1st game of the series and points will be accumulated throughout the 3-4 games of the series. Prizes will be awarded to 1st, 2nd and 3rd place! Sign up now and take your shot at winning first place! This is a 100-player Series contest. Choose players for Game 1 and their points accumulate through all games of the series. Your lineup’s total score is the sum of all your players' performances throughout the series. This salary cap contest has an $85 prize pool with prizes awarded to the 3 finishing positions. A maximum of 1 entry per player is allowed. 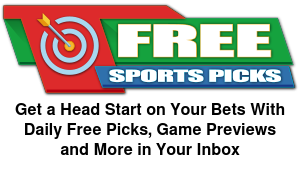 SIGN UP HERE — AND PLAY IN OUR FREEROLL! SEE YOU AT THE TOP!